On Thursday afternoon, Los Angeles’ Staples Center hosted the funeral service for late rapper Nipsey Hussle. Following an emotional slideshow and a performance from Marsha Ambrosius, Karen Civil took the stage to read a letter of tribute from former President Barack Obama. “While most folks look at the Crenshaw neighborhood where [Nipsey] grew up and see only gangs, bullets, and despair, Nipsey saw potential,” wrote Obama. “He saw hope. He saw a community that, even through its flaws, taught him to always keep going.”President Obama is just the latest in a long line of celebrities and artists that have been paying tribute to Nipsey since he was killed late last month. 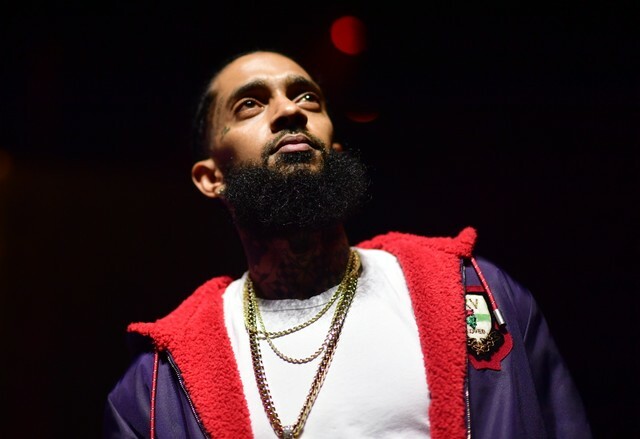 A suspect in the shooting, Eric Holder, has been arrested and formally charged with Nipsey’s murder. Since his death, Nipsey Hussle’s studio album Victory Lap has shot to the #2 spot on the Billboard 200 chart. Nipsey’s full memorial service is currently streaming on TMZ, TIDAL, and BET. TMZ reports that G-Eazy, Big Sean, James Harden, and Meek Mill are among those in attendance at the Staples Center. Also attending the service is Russell Westbrook, who dedicated his recent triple-double to Nipsey. Read President Obama’s full tribute to Nipsey Hussle below, and watch a clip of Karen Civil’s reading via ABC News.